A new mystery — Imogene in New Orleans — now available on Audible! 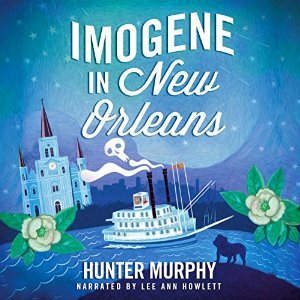 Lee Ann is very happy to announce her latest recording, Imogene in New Orleans written by Hunter Murphy, is for sale on Audible. To listen to a sample/and or purchase, click here. Posted by lahowlett on June 25, 2016 in Uncategorized and tagged #loveaudiobooks, Audible, audiobooks, Hunter Murphy, Lee Ann Howlett, mysteries, New Orleans.